If you haven't been living under a rock, you've probably already read an insufferable amount of articles about how Denmark was voted as the happiest country in the world. Followed by Norway. And Sweden. Three Scandinavian countries where the winters are so long and bleak that you practically just hunker down and somehow get through it. So how do these folks stay bright and cheery? Apart from lovely concepts such as the Danish hygge (oh, just google it! ), one of the keys to happiness, so to speak, for Scandinavian people is home design. When you consider that home is where you'll be spending a considerable amount of time during the winter months, you realise the non-flippancy of this. What better way to beat the winter blues than to lovingly craft an atmosphere that is conducive to happiness and that you'd love to come home to? The Scandinavian style of design is defined by bright, airy interiors, natural materials such as wood, simple yet stylish furniture and accessories and yes, a fair amount of hygge. Much like Japanese design (which had a great impact on both Danish art and design), it instantly inspires calm and a sense of wellbeing. 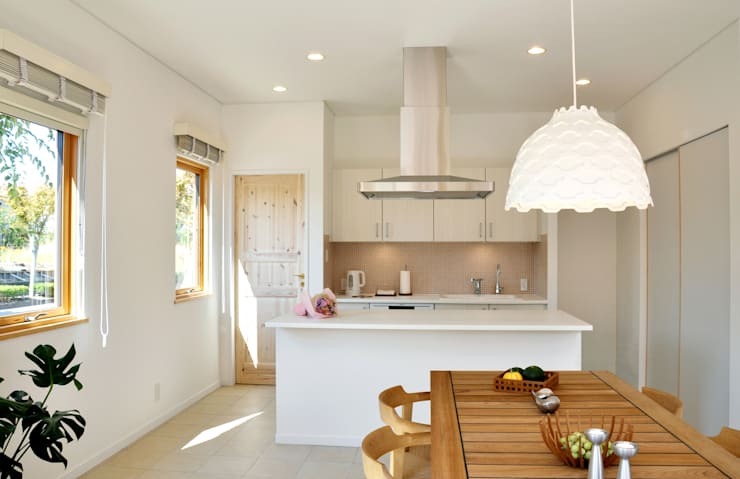 Our 360° project today is a sublime home in Japan that infuses Nordic design elements throughout. It is simple in design and stunning in its simplicity. We dare you to not fall in love! 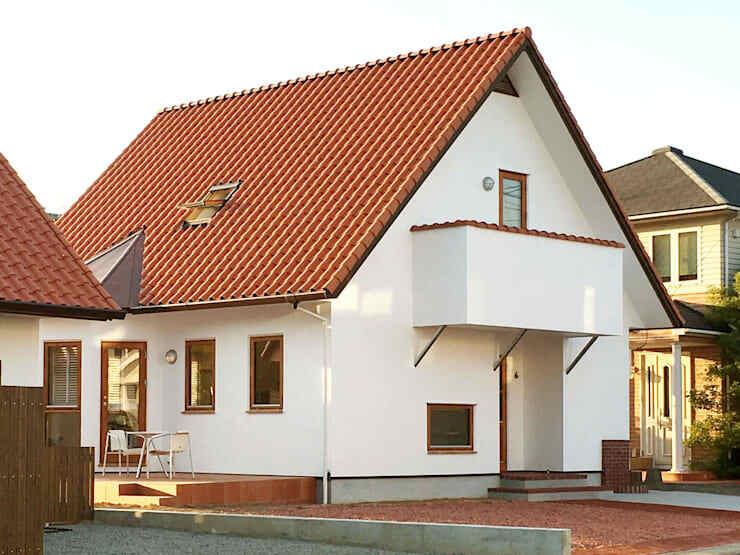 Located in a quiet residential neighbourhood, this Scandinavian-inspired facade immediately sets itself apart with its impressive red-tiled roof and crisp white exterior, a sight you're more likely to see in Danish towns like Skagen. Designed by Yogo Homes, the facade has also been crafted in such a way so as to protect it from Japan's extreme seasons, be it the harsh sunlight, torrential rains or the blistering winters. With no fencing or gates around the house, the facade is opened up and feels warm and welcoming, a rather impressive feat considering we haven't even stepped foot inside yet! 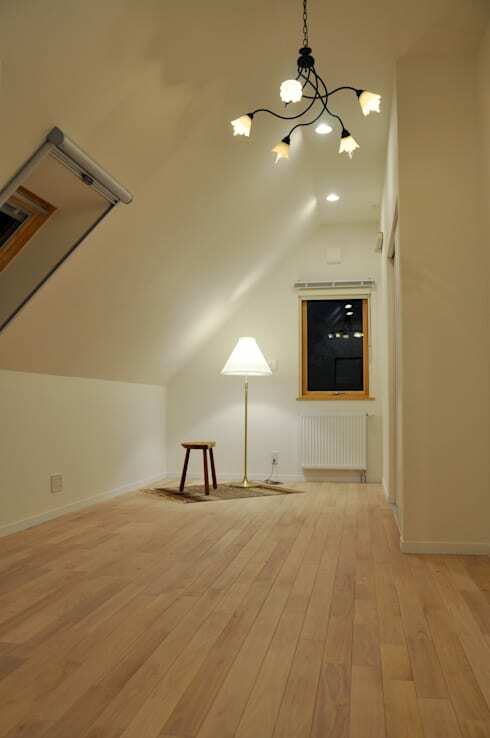 This is a Japanese home after all, and so key elements of Japanese home design such as a genkan is incorporated here. 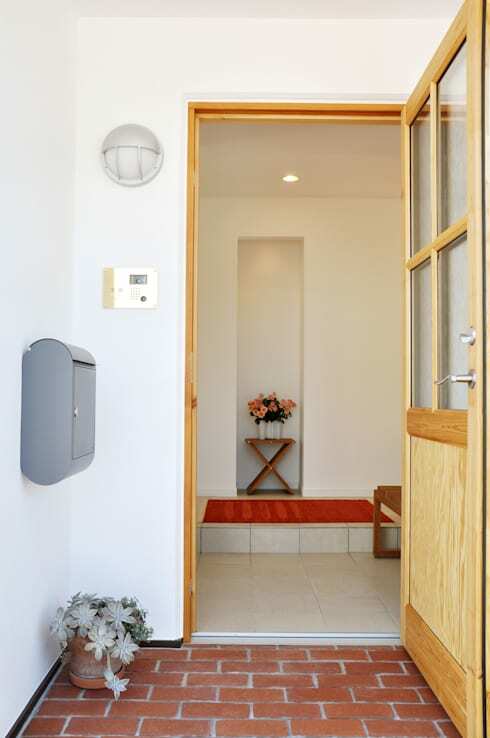 The brick flooring seen in the entryway separates the outside from the interiors. This is where you take your shoes off before you enter the house. Strategically placed plants impart style and warmth to the space. Wood is a perfect complement to a white design scheme; you can see that the designers have incorporated this warm combo right at the entryway. Speak to our designers to find out more about working with this combo. An overabundance of white can often lead to spaces looking a tad sterile, but that is definitely not an issue here! The wood acts as a perfect balance to the white decor scheme, giving it a lovely, warm appearance. Every element here (including the tiles, which have a reflective sheen) has been designed to allow natural light to bounce off of its surface. Plants, such as the one seen here, are also an integral part of Scandinavian design, bringing nature inside even when the trees outside are skeletal. Arecas and spider plants are great indoor plants that are easy to take care of. The overall style here, in the kitchen and the dining room, is minimal but oh-so-stylish. 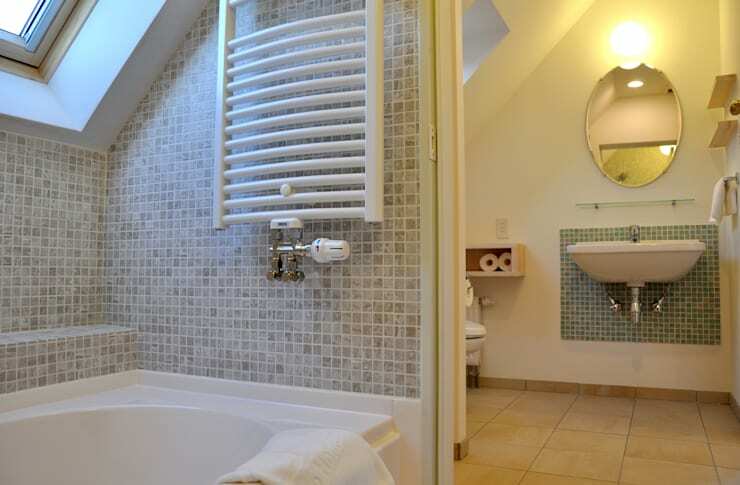 The bathroom is located on the second floor of the house, and so has the uniqueness of incorporating the sloped roof into its design. What better way to do that than to place a tub underneath it, where you can lay luxuriating in a bubble bath while gazing up at the sky! The differently-coloured mosaic tiles on the wall offer an interesting design element while being completely functional—it is only built into the areas where there's potential for a lot of water spillage. The storage is kept minimal and above ground so as to avoid taking up too much space. This ridiculously (and unexpectedly) photogenic space is actually the bedroom (the bed lies to the right of the picture) on the second floor. A simple floor lamp, a stool, a rug and an interesting chandelier—that's all it takes to create a breathtakingly simple space here. The wooden flooring and the white walls simply act as the perfect background. If this doesn't encapsulate the spirit of hygge, we don't know what does! If you enjoyed the simplicity of this home, here's how you can do it yourself: 7 steps to a perfectly simple home. What did you think of this Scandi-inspired modern home?